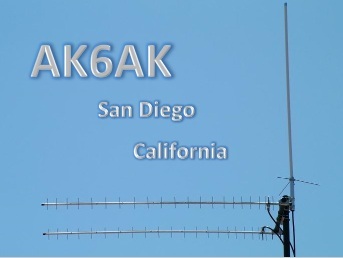 Hello, welcome to Allen’s “AK6AK” amateur radio web page. I'm located in Poway California in San Diego county. I spend most of my time on D-Star VHF & UHF. The local D-Star club here in San Diego, The PAPA System, has extentsive coverage throught southern Californa. You can hear us on D-Star reflector 12. The PAPA system also has linked analog repeaters covering the southern California area. To send an email to me, just click on the email link.